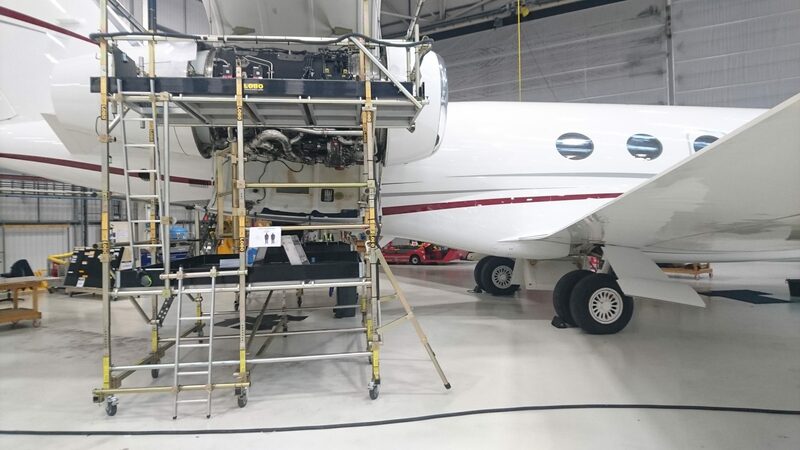 The LOBO Advanced Platform System is extremly verstile and can be made to any shape or size, therefore allowing the engineer to perform maintenance on small general aircraft to large commercial jets. It offers accessibility to most areas with its easy, no tools assembly feature, which can be utilised across a range of maintenance requirements. The LOBO Staging System can be made mobile by the addition of wheels, extra safe by the implementation of handrails and secure by the use of Outriggers. The system is transportable and can be used in the cabin or externally with the capability for line and hangar maintenance. 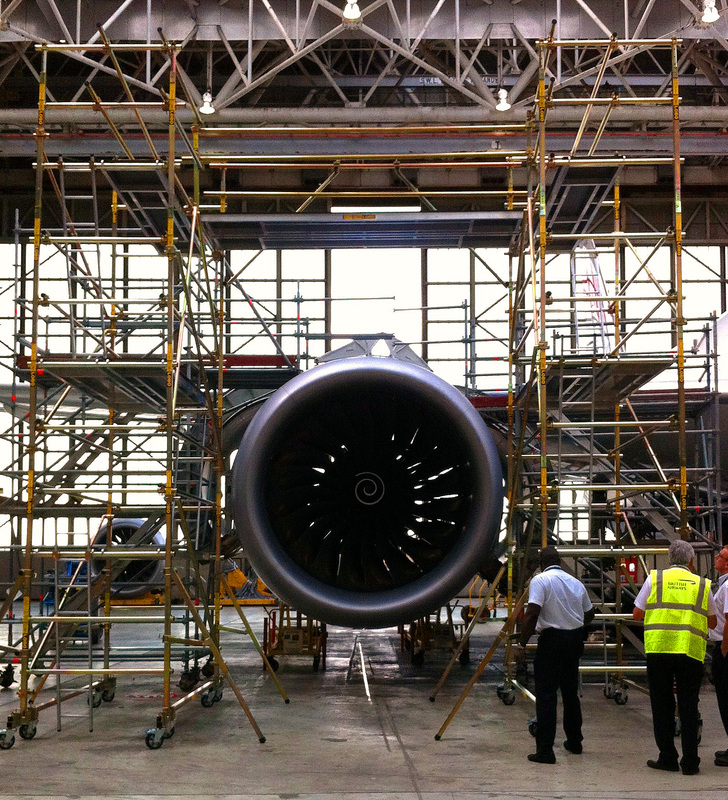 Also, the system can be assembled and used by aircraft and aerospace manufacturing companies for production purposes. 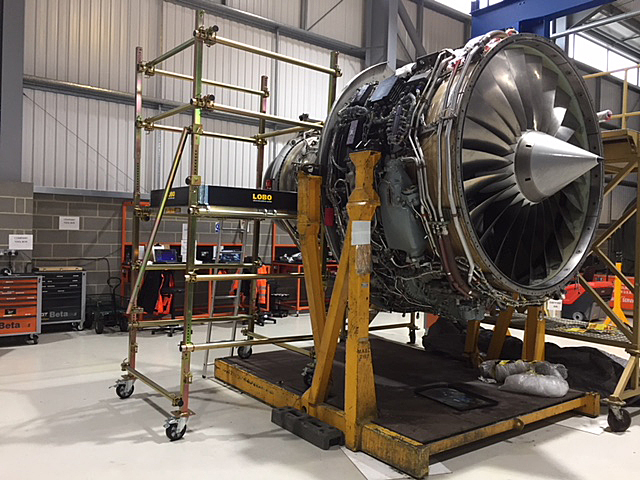 The LOBO System packs away and is therefore ideal in dealing with away from base aircraft maintenance and AOG maintenance. 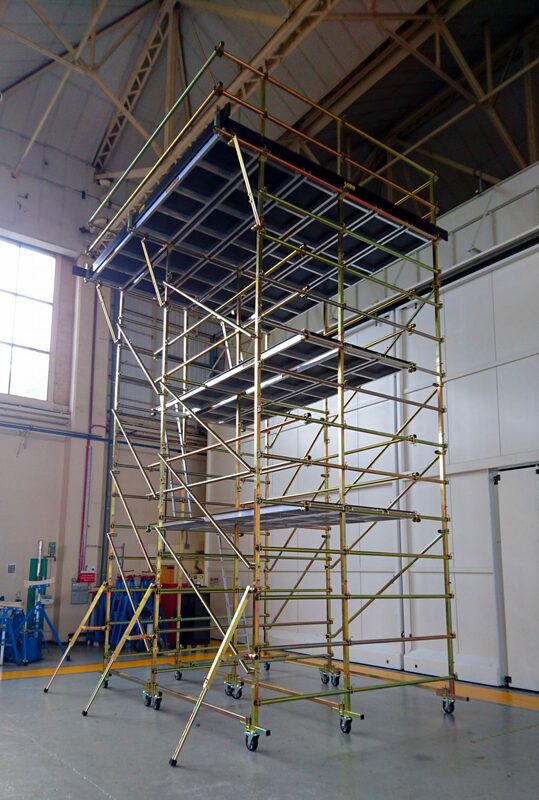 All equipment shown is standard LOBO staging equipment and therefore integrates with most existing scaffolding and tower systems and is also assembled with our no tools and quick to construct philosophy. BA, BAA, Boeing, BAE, Lockheed Martin, L3 Communications, NASA, Cesna, GE Avaition.